This Tribune article recently reported that the Tampa Bay Express (TBX) project is coming under scrutiny by residents of Tampa Heights concerned with the widening damaging their neighborhood. Widening I-275 has been in the plans of FDOT for decades as most elected officials have or should have known. TBX would be additional capacity added as tolled express lanes similar to what I-95 Express is down in South Florida. I have used the I-95 Express lanes in Miami and found that they work. Toll lanes are also used by Express buses service to increase transit service options. I-275 has been around since the 1960's. Is expanding the existing interstate that FDOT has had plans for decades to expand putting a massive highway where it doesn't belong? Tolls are a user fee not a tax so what exactly does Adam mean that we're all being taxed to use the express lanes? Individuals get to individually decide whether they want to pay the toll or not. Taxes are always coercive - you have no choice but to pay them. Central Florida, which many are quick to tout now that they have SunRail, has over 100 miles of toll lanes. The toll roads in Central Florida are so successful that their coffers are overflowing with toll monies. So now there is a proposal to use some of that road toll money to pay for SunRail which is drowning in red ink. We don't believe it's right to rob toll monies, which are user fees for roads, to pay for trains. ALL Florida taxpayers are currently paying for SunRail but in 2021 the local municipalities must pick up the operating and maintenance costs. The municipalities currently do not have a long term funding source to pay for SunRail. Robbing the lucrative toll monies to pay for SunRail gives the policy makers an easy way out - a steady stream of money to pay for SunRail without forcing higher taxes or finding the money elsewhere. Since it's obvious the toll roads are more than paying for themselves, why aren't they reducing the tolls and raising SunRail fares instead? The closer to user pays the fairest it is for everyone. Now FDOT has started the Ultimate I-4 project, a public-private partnership, adding express toll lanes to I-4 as additional capacity. The Central Florida pot of enticing toll money will only be getting bigger and a more lucrative pot of money to use for other "stuff" if the precedence is set. The term "Lexus Lanes" is used by those who oppose toll lanes to insinuate that only affluent drivers will use the Express lanes. That is absolute nonsense. Where is the evidence that backs up such an accusation? Also, those who don't pay the toll will get a benefit from those who individually choose to pay the toll.
" ...critics in Tampa skeptical that the investment in express lanes will pay off here because of the volume of traffic and a dearth of mass transit alternatives. It's a completely different night and day approach. Thurman's been in Florida since the end of 2012 so we are not sure what he knows about Tri-Rail and Metrorail. Yes it is different with those trains in South Florida and very costly. In the 2009 special session of our state legislature, the State of Florida approved the beginning of an annual bail out of aout $15 million a year to Tri-Rail that was drowning in red ink. In addition, according to Tri-Rail's 2013 Financial Report (latest online), the State also provided in 2013 over $17 million of state funds for operating and assistance. In 2013 alone, the state provided $30 million to Tri-Rail. The operating loss to operating revenue for Tri-Rail in 2013 was a loss of over $87 million. When all the subsidies were added in from the state and local governments as non-operating revenue in 2013, the operating loss was still $29 million. The total population of the three counties is about 5.8 million. With a weekday daily ridership of 14,400, .24% of population ride Tri-Rail - about a quarter percent of the population. What about MetoRail? The daily ridership in 2014 for MetroRail was 78,100. The daily ridership for the Metro Mover, which is a 4.4 mile link of MetroRail, was 34,700. 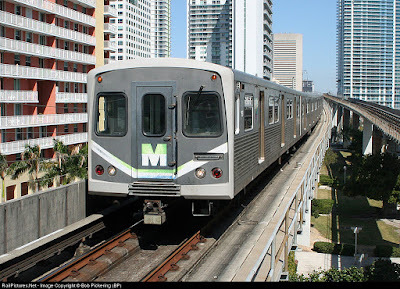 The Metro Mover is free to all passengers as there is no paid fare and it is 100% subsidized. 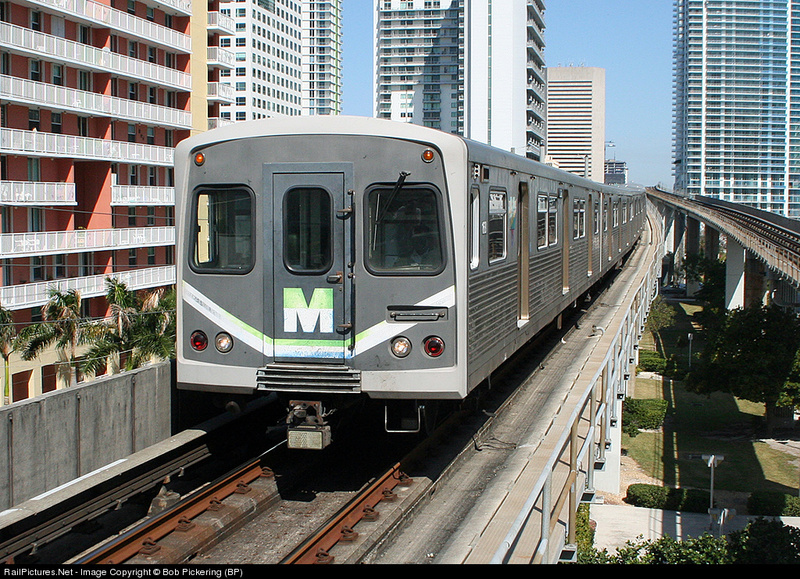 MetroRail is run by Miami-Dade Transit. With Miami-Dade population about 2.6 million and a fare paying daily ridership of 78,100, then approximately 3% of the population uses MetroRail. In 2002, a half-cent sales tax increase called the "People's Transportation Plan" was passed in Miami-Dade to expand the existing MetroRail in all directions. To date, the only rail implemented is a 2.4 million link to the airport for which costs soared. Miami-Dade Transit started running a deficit and the tax was used to close the books and today much of it is used for operating and maintenance. Like Thurman said, South Florida is different as it has Tri-Rail and MetroRail but few ride them at a huge cost to taxpayers. Guess the rest of the 5.8 million population of South Florida are using the roads and the tolled Express lanes. The buses use the Express lanes too. Hillsborough population is half of Miami-Dade's, Implementing a Tri-Rail or MetroRail in Hillsborough is not the answer. We do understand there are concerns from neighborhoods impacted by I-275 road widening and we hope they will be addressed.